during open hours. ; and 2 acts of Washing/Maintenance: Ukeles washed the stairs to the main entrance of the museum with water, stone and diapers (normally used by the conservators to clean works of art). 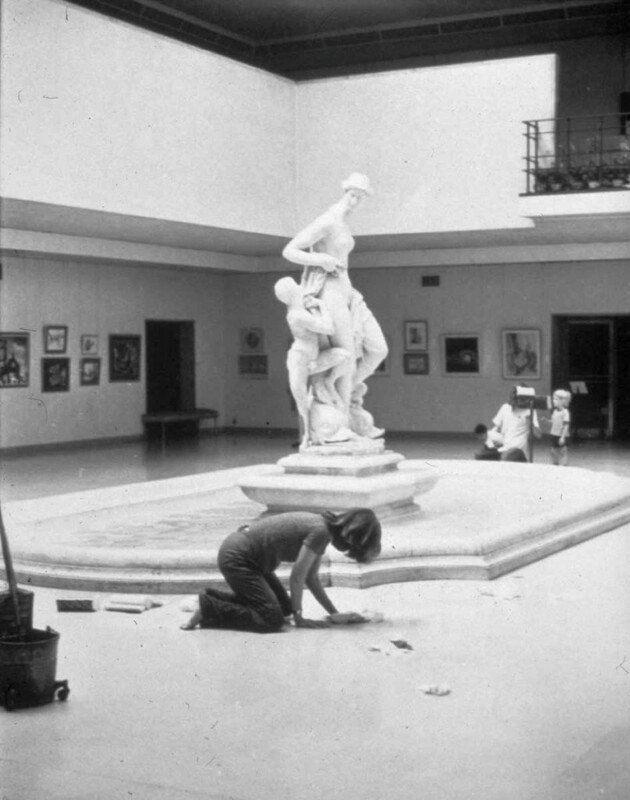 Later, she washed the marble floor of Avery Court with the same materials.